Growing up, I saw critics and players heap praise on Team Ico’s Shadow of the Colossus constantly. Its story was transformative and unique. Its setting was surreal and somber. Its battles were epic and far different from anything else available at the time. It made me envious of my friends who owned the PlayStation 2, as I had chosen Microsoft and Nintendo’s systems, instead. All I could do was admire the game from afar, hoping that I’d eventually get to play it and see what all the fuss was about. That didn’t happen for another 13 years, when I owned the PlayStation 4 and Sony chose to completely remaster the game for a new generation of players. What I found was a game that still contained the same combat, exploration, and titular colossi of the 2005 original but with a new coat of paint that makes it comparable to current-generation releases. As a result, it’s a dream come true for longtime fans looking for a dose of nostalgia, but the “new” Shadow of the Colossus was never meant for newcomers. Don’t get me wrong: Shadow of the Colossus is an absolutely beautiful game, both in its original incarnation and remastered on the PlayStation 4. In the 2018 release, the grass sways with the wind as you move, the texture on rocks is incredibly detailed, and the colossi themselves have some of the best-looking fur I’ve seen on the console to date. But almost from the get-go, I found it incredibly frustrating, bringing me back to the obtuse games I played as a kid. Protagonist Wander’s climbing likely would have been simplified if the game were developed for the first time in 2018, but here, it requires you to manage a stamina meter while moving with a stiffness not seen today -- even in similar games like The Legend of Zelda: Breath of the Wild. The combat is fine in premise – hold on for dear life and stab the colossus’ weak points – and against the more … extroverted colossi I’ve fought thus far, I was genuinely on the edge of my seat. But for many of the others, I felt like I had finished a puzzle and was then forced to slowly move the pieces into place without any real reward. In 2005, I can understand why players would find these battles enthralling. Being able to scale an enemy in real-time as if it were a piece of terrain was impressive, especially when you consider that the PlayStation 2 was less powerful than the GameCube and Xbox. In the years since, however, several games have featured similar boss fights. Castlevania: Lords of Shadow included a fight clearly inspired by Shadow of the Colossus early on, but its deeper third-person combat made it more engaging. 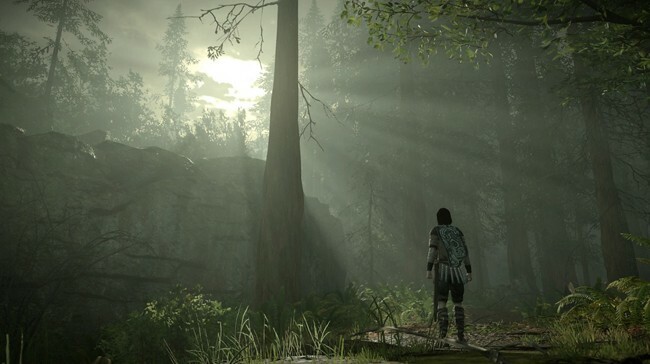 When everything Shadow of the Colossus clicks, it’s still clear why the game is remembered so fondly. At about the halfway mark, I fought a beast that soared down into a lake with my head in its sights, at which point I was able to grab onto its back and scaled its wings as it climbed back into the air. It was awe-inspiring, similar to the best moments in director Fumito Ueda’s next game, The Last Guardian. But doing this required far too much trial-and-error, with the game’s rudimentary controls struggling to keep up with what it wanted to show me. What if it were made today? By no means do I consider Shadow of the Colossus to be a bad game. At the time it released, nearly everyone hailed it as a masterpiece, and it isn’t the game’s fault that the medium has moved forward over the last decade. Were Shadow of the Colossus to be developed for the first time in 2018, it likely would have been structured differently. Its open world is devoid of enemies and side activities -- aside from a few types of collectibles -- and it’s beautiful to look at, but traversing it also artificially inflates the story’s length. 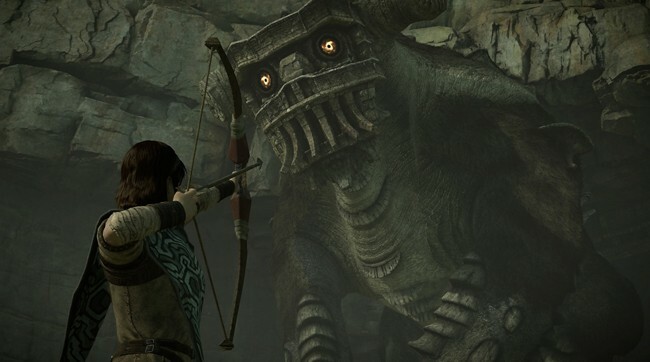 Battles against colossi can take anywhere from five minutes to nearly half an hour, but simply making the journey to them loses its luster after the first two or three fights. As a smaller, linear experience that cut out this downtime, it would highlight what we all came to the game for in the first place: the battles. A more consistent pace to Shadow of the Colossus’ storytelling would also go a long way, and the gaps created by eliminating Wander’s literal wandering could be replaced with more details on the enemies he encountered and his effect on the world around him. As it stands, the game back-loads much of this as a big “twist” in its final moments, but it’s clear to anyone paying close attention that Wander’s actions will have dark consequences. 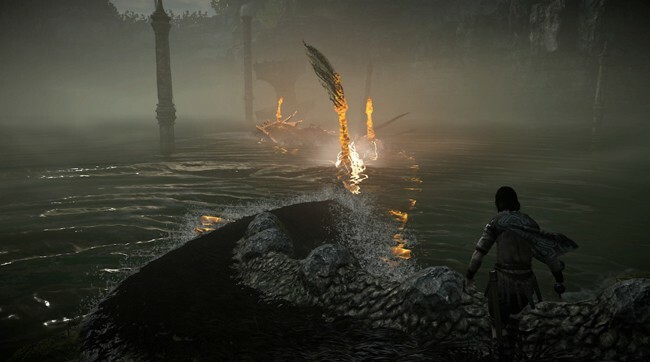 Giving us more information on the consequences while still holding back details about Wander’s fate until the game’s conclusion would make each colossus’ death feel monumental, rather than just another stepping stone toward the final battle. Oftentimes, it’s the ideas and mechanics games give us that help keep them in our minds and on our perpetual “best of” lists, rather than the games as a whole. 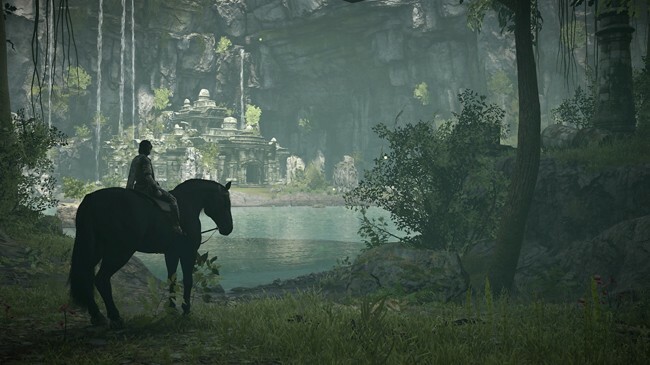 Shadow of the Colossus is certainly still playable in 2018 and it offers a level of intimacy and emotion we rarely get in focus-tested AAA games today. In much the same way Eistenstein’s film Battleship Potemkin is irreplaceable for its contributions to editing while being tough to watch today, however, Shadow of the Colossus’ influence on enemy encounters and unclear morality demands our respect without requiring us to experience it with the controller in our hands -- from afar, its value to players is just as apparent. Sony and its third-party partners continue to pump out remastered versions of classic games, assuming the new visuals and (slightly) modernized control schemes will help them connect with a new audience the way they did with players in the past. Perhaps that is true with simpler games like Crash Bandicoot or MediEvil, but it’s impossible to translate something like Shadow of the Colossus onto today’s hardware without its limitations being made bare. By applying the game’s design philosophies to new games built from the ground-up for current platforms, its influence will still shine through without its rough edges needing to.